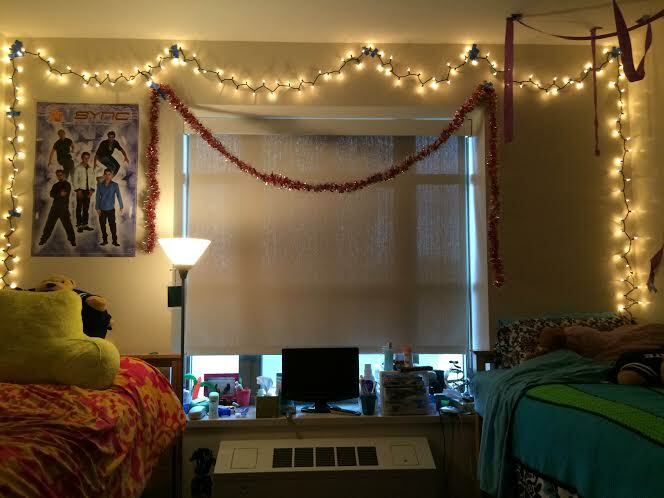 Room Decorating– After returning from Thanksgiving break, my roommate and I decorated our room to get in the Christmas spirit. I made snowflakes to hang around the room that are really easy to make! I went on Pinterest and looked up fun DIY snowflake tutorials. They came out really cool and I am really excited to see campus in a blanket of snow. 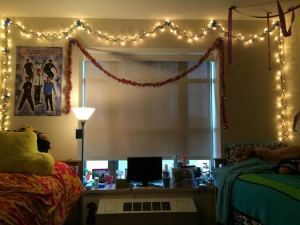 My dorm room has a big window that my roommate and I bordered with garland and white lights. 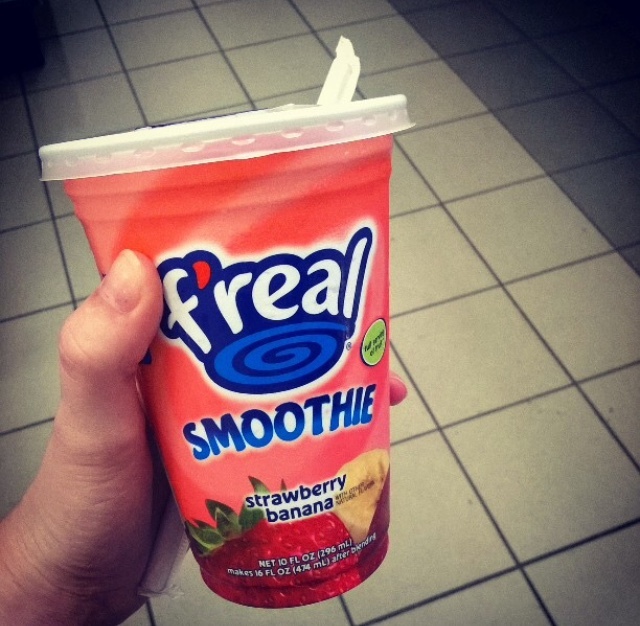 These can be found at convenience or 99cent stores. 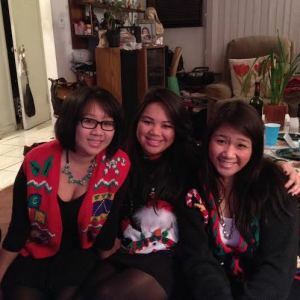 Ugly Christmas Sweater Parties – A perfect way to get excited for the holidays is to have an ugly Christmas sweater party! There is no better way to spend a Saturday or Sunday afternoon with your close friends while drinking hot coco and watching your favorite holiday films. My favorite holiday film is Home Alone! Secret Santa– Most college students are on a budget but want to give their friends gifts! Secret Santa is a great way to exchange gifts with friends during the holidays. You can set a $20 limit for each gift so no one has to splurge on a present. This is also a fun way to get close to your committee or organization by getting to know another person before the holidays. It’s winter time in State College! People can put away their vests and take out their parkas because it’s the beginning of a cold winter. A lot of freshmen are not used to the cold weather so soon and they have to be prepared, especially on game day. I would advise investing in a big puffer jacket and numerous scarves (this applies to men and women). I would also recommend getting heavy duty boots that are insulated. It’s the middle of November and the forecast tomorrow is 20 degrees with a high chance of snow. The worst part about the winter in State College is the extreme temperature changes once you get to class. You will need to bundle up in order to get to class but the heat is on high in the classrooms. I would definitely recommend a lot of layers in the winter so you can be comfortable inside and out of the classroom. I got my winter jacket during Thanksgiving break of my freshmen year. I bought my jacket during the holiday’s so I got it at a great price! I definitely wouldn’t wait too long to get one because they are in a high demand this time of year. 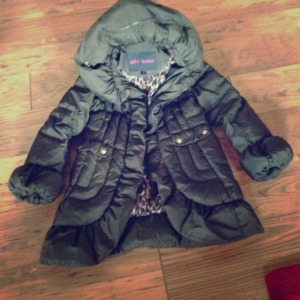 I got my puffer jacket at Macy’s and they always have weekly sales. I have a thick knit scarf that was made by my sister and I wear it every day. It is an infinity scarf and it keeps me warm while I walk to class. To keep my ears warm, I have the Nittany Lion headband and it is perfect for game day. On game day, I layer up and invest in hand warmers. They are sold at McLanahan’s or CVS and it is a wise purchase. It can get pretty chilly at games and you don’t want to miss a game because it’s too cold. Winter at Penn State can get pretty brutal and we are infamously known for not canceling class. Luckily, Penn State has heated side walks and classrooms are always nice and toasty. The Creamery has the best hot chocolate and it is always a great ending to a cold day. On Thursday, November 6th, I live tweeted my day and shared it on all the Undergraduate Admissions accounts! It was fun to share my experience with prospective students and a wider range of followers. I definitely saw a lot more interaction with my posts when I posted pictures. As a junior majoring in marketing, most of my days are spent in the Business Building. 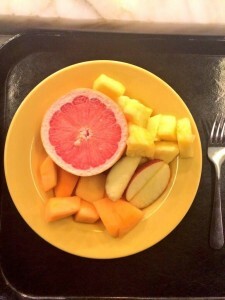 Before I go to class, I usually get breakfast from Redifer or eat a bowl of cereal. I usually cannot go through a day without coffee and I usually make a quick stop at the Creamery. They have the best flavors of coffee from Donut Shop to Hazelnut Cream. 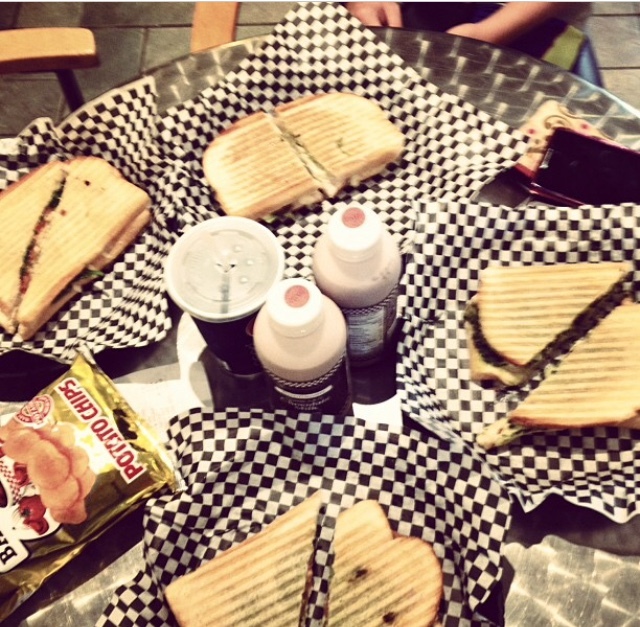 Usually people know the Creamery for their ice cream but make sure to check out their coffee! Throughout the week, I have various meetings and events after class. On my free time, I love to go to the gym or get lunch with friends to catch up. In between classes I love to meet friends in the HUB! With the new renovations, I try to get Jamba Juice whenever I can. The new restaurant McAlister’s is a great place to grab a quick bite that will be hot and tasty! On Thursday, I was able to attend a presentation made by Mark Whitacre. He did undercover work with the FBI during the ADM scandal. His story was the inspiration for the movie “The Informant” starring Matt Damon. Here at Penn State we have so many cool opportunities students can attend. My sophomore year I went to see Kenan Thompson from SNL. A couple weeks ago, the photographer of HONY, Brandon Stanton came to speak. There is always something fun and entertaining going on here at University Park. On December 5th, Billy Joel is coming to Penn State! If you didn’t get a chance to follow me, checkout this Storify to catch a glimpse of my day! 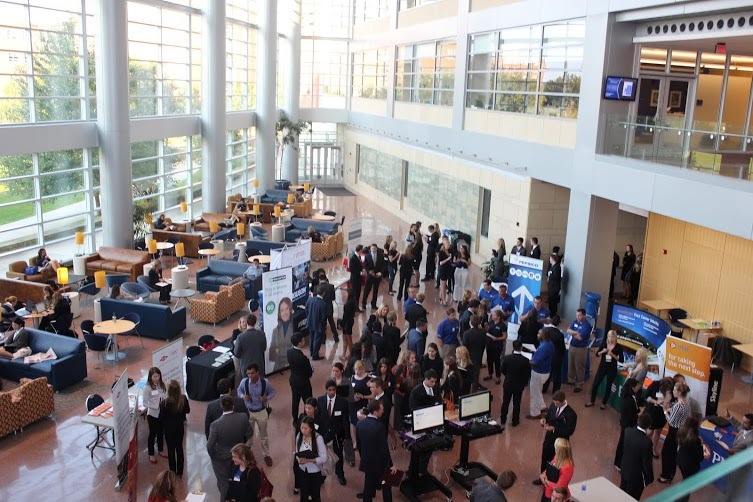 Career Services in the Bank of America Building is where any Penn State student can go to get advice on how to get to your career goal! 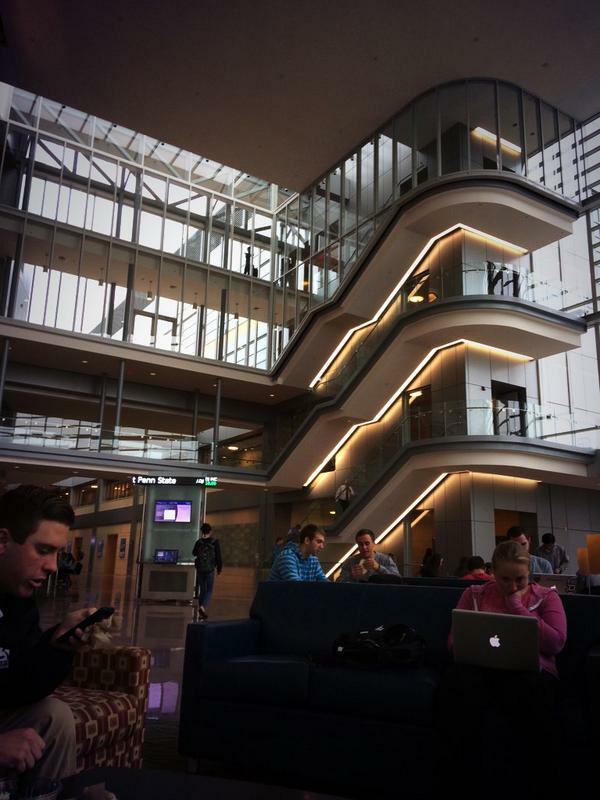 Penn State Career Services is available to assist any student in any academic major. There are consulting hours where a student can get their resume reviewed before a career fair or interview. They can tell you how to build your resume and how to construct the perfect cover letter. If you don’t know exactly what you want to do yet, they can give you guidance! If you’re a business student and you are nervous about the interview process then take BA 297A. It is a class where you can get real interview practice and participate in a mock career fair. You get to write cover letters and get them reviewed by a professional. My favorite part of the class was the Etiquette Dinner on what and what not to do in an interview dinner. 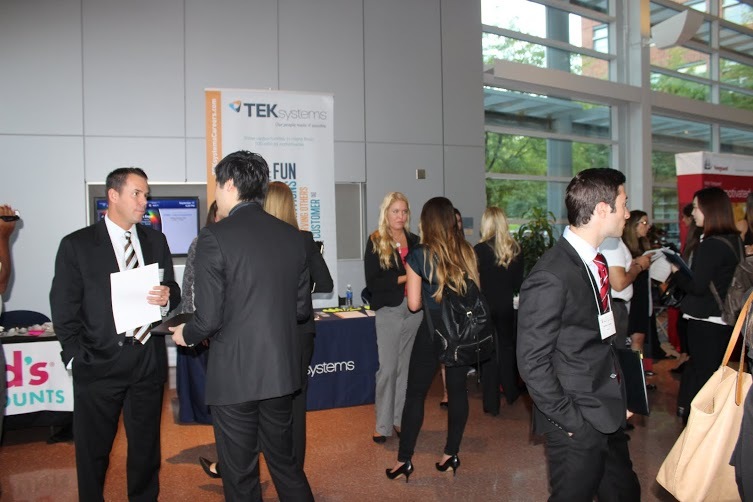 Penn State hosts one of the largest Career Fairs in the BJC twice a year! Even if you are a freshmen I recommend you go and practice your networking skills. This will give you face to face time with a company and get interviewing experiencing. You never what can come out of a conversation, it may just lead to a potential internship! This past weekend, October 17th-19th, was the first canning weekend of the year! I went with the Penn State Marketing Association to Sleepy Hollow, NY. I had an awesome weekend and it was a great opportunity to bond with other members. This was my first canning trip even though I am a junior! During freshman and sophomore year, I never had the time to go because of exams or other conflicts. 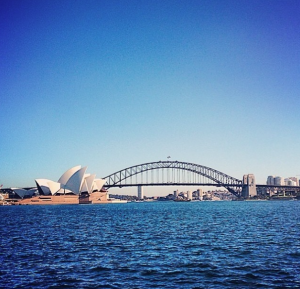 I am so glad I get to share my experience with Lion Life readers! 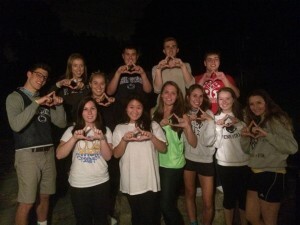 Canning weekend is when organizations and clubs go to other towns to fundraise for THON. The mission of the Penn State IFC/Panhellenic Dance Marathon is to conquer pediatric cancer by providing outstanding emotional and financial support to the children, families, researchers, and staff of the Four Diamonds Fund. THON is event when all of Penn State comes together to support one cause. I was so excited to fundraise for the kids and get quality time with other members. After this weekend, I definitely grew closer with other members of PSMA. 12 members of PSMA travelled together to Sleepy Hollow and it was definitely an adventure. It was about a 4 hour car ride and I was able to get to know the other members so much better. At night, I luckily I slept on a futon, but normally everyone sleeps on the floor with a pillow and sleeping bag. It was so nice to eat a home cooked meal by the host family and I was so grateful for everything the family had done for us that weekend. On Saturday morning, PSMA started canning bright and early at 9am. We were able to spread ourselves out in 3 towns. Sleepy Hollow, NY was not a popular area to can so we had the whole area to ourselves. My friend and I were standing in front of a Dunkin Donuts and we definitely picked the right place! It was an area where not a lot of people knew what THON was and I thought this was such a significant part of our weekend. It was such a great opportunity to spread awareness about this amazing cause. The camaraderie among us supporting one cause was amazing and I am looking forward to our next canning trip. Canning is such an unforgettable experience and I encourage all freshmen to go on the first canning trip of the year! I currently live on campus in Chace Hall at Penn State Main Campus. I absolutely love living on campus because it is convenient for classes and South is a newly renovated area. The South dorms have new amenities like a full kitchen, individual bathrooms, study rooms and most importantly air-conditioning! Most of the new dorms have been converted into sorority dorms but there are new buildings under construction for students. I love living in Chace Hall because everyone is upperclassmen and I can study with people in my major. I definitely take full advantage of the study rooms and invite friends to study with me. The kitchen is equipped with a stove and oven so you and your roommate can make fresh omelets! There is no need to worry about communal showers because the new South dorms have 6 or 8 private bathrooms per floor. They even have lockers so residents can store their shower caddies or tooth brushes in them. 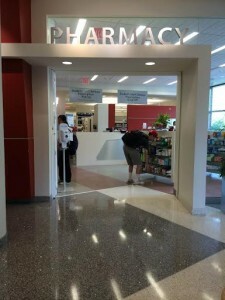 South’s dining commons is Redifer and it has a buffet style dining hall but there are also food stations you can choose from. 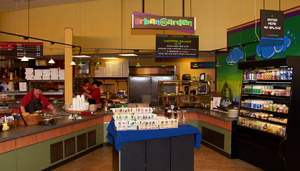 There is a whole variety of food to choose from like sushi, panini’s, Chinese, salads and more! Not only does Redifer have great food choices but it is also close to downtown so you can get Chipotle or McDonald’s within a 5 minute walk! If you want to burn off those calories then you’re in luck because South is conveniently located across from a fitness gym, the White Building. 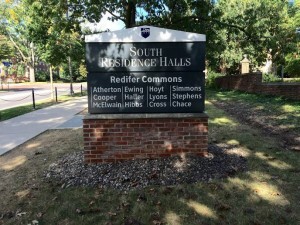 I interviewed my friend, Christina Ruzzo, who lives in Hoyt Hall to talk about the perks of South dorms. She is in Sigma Kappa and she lives on her sorority floor. She is a junior majoring in Recreation Parks and Tourism. I hope that this will get you interested in living in South!